Το Αφηρημένο Blog: Europeans, let’s take back control of our future! 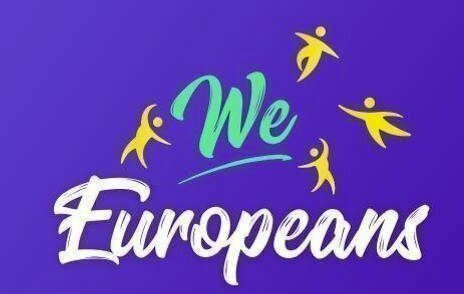 WeEuropeans is a transnational and non-partisan civic campaign. It goes beyond the various political opinions and brings together all citizens who are convinced that the EU is the most efficient lever for change to meet major global and European challenges, provided we reconnect with citizens. CIVICO Europa and MAKE.ORG are launching a continental democratic and civic campaign.A call for mobilization is launched today in about fourteen major European media outlets, Libération in France, El País in Spain, Politico in EU, Le Soir in Belgium, Tageblatt in Luxemburg, La Stampa in Italy, Publico in Portugal, Delo in Slovenia, Népszava in Hungary, I Kathimerini in Greece, Gazeta Wyborcza in Poland, Postimees in Estonia, Adevărul in Romania, Die Press in Austria and euractiv in the EU. As commemorations of the First World War Centenary come to an end, the CIVICO Europa movement, together with the civic tech MAKE.ORG and many well-known Europeans, is launching a non-partisan civilian campaign in the 28 member states of the European Union to mobilise citizens and empower them to take back control of the European project: WeEuropeans. On 22nd March 2019, a Congress of Europeans will take place in the European Parliament, home of the Union’s citizens. Citizens from all walks of life, including artists and people who work in education, culture, science, business, labour and the media, will meet in this transnational forum to share a civic agenda resulting from the biggest public European consultation ever undertaken. This agenda, to be adopted in the presence of representatives of different political families who are there to listen to their constituents, will then be disseminated through a vast mobilisation campaign in all countries of the European Union. It will be submitted to all candidates in the European elections and to the Heads of State and Government at the European Council meeting in Sibiu on 9th May on the future of the Union. We will invite political leaders to react to our fellow citizens’ common worries and to decide whether or not to integrate them into their election campaigns. For us, this method constitutes the only very broad participatory approach capable of opening the way to a democratic revival of the European project, which we believe is the most important democratic project of our time. Never have the Union’s citizens’ levels of expectation about Europe been so high since the beginning of the crises. Citizens want a Union that responds to their needs and has a concrete and positive impact in their daily lives. More than ever, they believe European solutions are needed to respond to the great challenges of our time that none of our countries can address on its own. We want a Europe that protects us and defends our values and our interests in the world. A Europe that takes the lead in the fight against climate change and the battle for sustainable development, and that encourages digital innovation in the service of its citizens. A Europe that develops a common and dignified migration policy that guarantees the security of our borders. A Europe that promotes peace, democracy, social justice and economic prosperity. Today, however, while citizens desire more unity and efficacy, they doubt the capacity and political courage of European states to continue progressing together and to create the conditions for a positive future for all. They feel they no longer have control of their future, and are being written out of their own history in a deeply changing and worrisome world. Everywhere, crises are generating inward-looking responses and a search for scapegoats. Solidarity among States, the historical foundation of our Union, is being sorely tested. Precisely when we most need to work together, a mistrust of European institutions is taking hold. This doubt is amplified by the silence of political leaders, their lack of shared vision, the fake news on social networks and the omnipresence of extremist forces in the media, often supported by foreign activists, who set citizens against peoples. In this context, the European parliamentary elections of May 2019 will be very different from previous ones: They oblige us to recognize the uncompromising truth and to achieve an unprecedented democratic leap. We must regain our self-confidence and give soul to our Union that too often is reduced to a technocracy imprisoned by the intergovernmental method. We, citizens of the Union, of all opinions and origins, we Europeans, believe it is first of all we who are Europe and we who make Europe – and that people must be reminded of this fact. This is why we call all European citizens to join us in writing together a new positive and democratic page in our common history, and to pressure our representatives to assume their responsibilities and give themselves the means to bring real solutions to the challenges we face. May all who wish to join us do so without delay at WeEuropeans.eu‍. The civic momentum we seek to build supersedes partisan divides and national silos. We need each of you to support our common cause. Europeans, let us together take back control of our future!